The biggest holiday season of the year is here again! This is a great opportunity to boost your website traffic, engage with your audience and increase your customer base. It’s hardly surprising that most businesses are running Christmas social media campaigns and promoting their products. Nearly everyone is out shopping for gifts during the holidays. So, we have created a few tips for Christmas social media campaigns to offer ideas how to increase engagement across your digital channels. Holiday seasons are high-spirited and fun times. You can relay this emotion and happiness through your brand. Even though special offers have their own position in your Christmas social media campaigns, spreading holiday joy is also important. This can include posting a series of questions with images for user engagement. For example, asking users what is their favorite Christmas food or treat? Another idea is to create Christmas social media posts asking users about their favorite holiday memory. And if you get photos with their answers, make a mini book. Depending on the number of responses, you could mail each respondent a book. One of the best parts about this time of year is food preparation. Share a short video of a treat or dish you’re making. Update your cover image and profile photo to sync with the holiday spirit. Don’t forget to include your brand value through your graphics. Believe it or not, many people visit social media pages to view the cover images this time of year. First things first though. Before you start changing out your brand cover images and profile photos, make sure it’s well planned out. Use simple and elegant designs to display your products and services. And it’s always a good idea to have continuity across all your channels; LinkedIn, Facebook, Twitter, Instagram, etc. For most small businesses, holiday sales accounts for 20-30% of their annual revenue. We’ve all seen how big retailers kick it up a notch with special offers during this time. Social media messages such as Christmas deal, one-day offer, buy one get one, and of getting a percentage back often attract visitors’ attention. 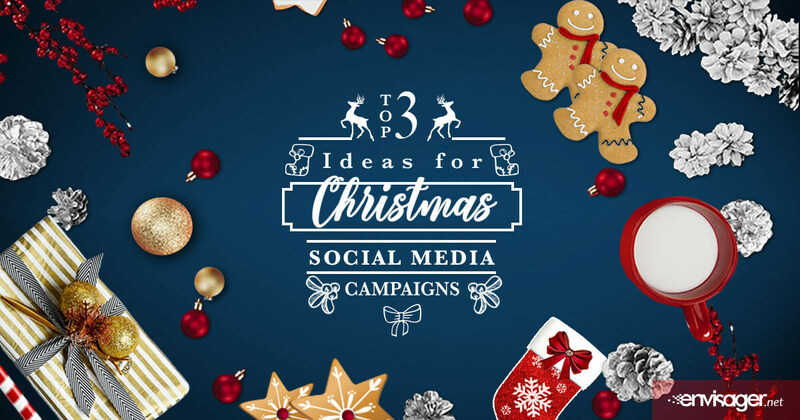 There are so many more ideas for Christmas social media campaigns. The important thing to remember is to first figure out your campaign strategies. Ideally, it’s best to stick with 2 to 3 straggles so as not to confuse your users. Once you’ve got your strategies all figured out, gather your team and plan a campaign. There are various other Christmas social media campaigns that can be used during the holiday season. However, prefer shortlisting only 2-3 strategies to avoid confusing your users. Once you have figured out the strategies and ideas you are going to use, grab your team, and plan a campaign.